A gorgeous card, I love the design of all the textures. Cute kitty photo, Janis, and beautiful Easter Card! How cute your kitties are!!! Your card is full of texture with beautiful embossing! Love this--I pinned it to my church card making board. 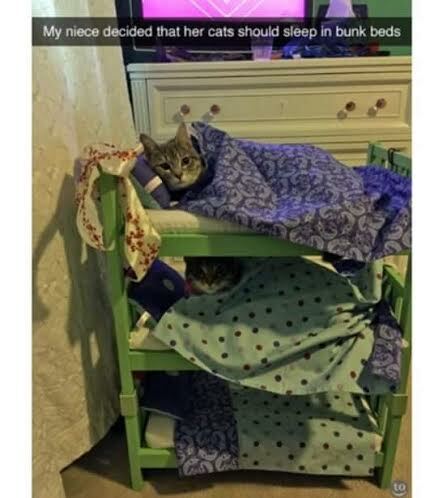 I also like the cats in bunk beds. 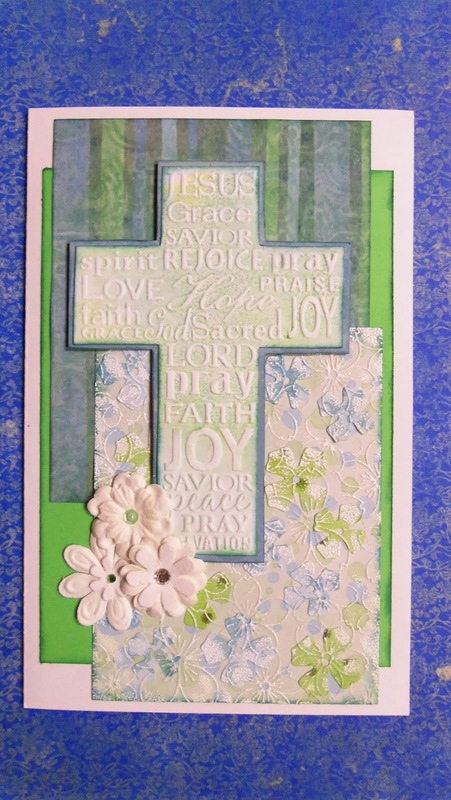 Wonderful embossing there Janis, a really beautiful Easter card. It must be worrying with fires so close - stay safe! Very pretty. I love the embossing. Hi Janis! 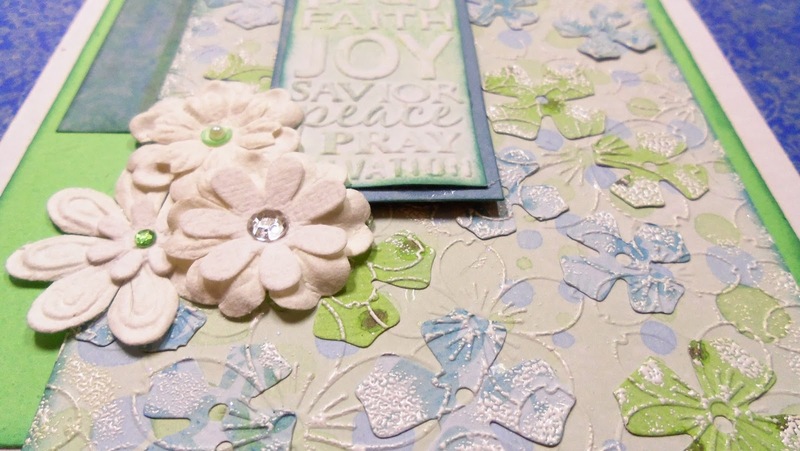 Your card is beautiful - love the background and the pretty embossing. It's a wonderful card for Easter. How awesome are you? Teaching your wonderful crafty tricks and sharing what you know is sooooo generous and rewarding! This card is just absolutely stunning! I giggled when I saw the title of the post in my inbox. Easter was months ago, but I love how you mix it up and keep your blog always interesting! Again, amazing work! I somehow missed seeing this gorgeous card and that would have been a shame because it's so beautiful! 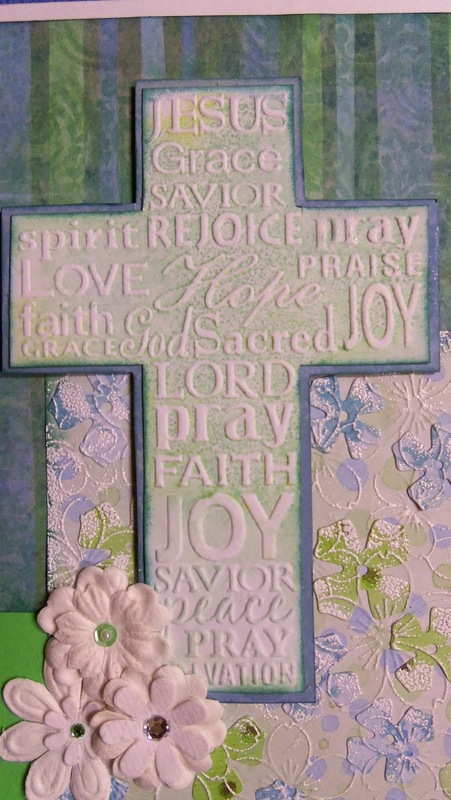 The embossed cross, matted on blue and inked, is a spectacular centerpiece. Those patterned paper floral die cuts, that are then embossed with an embossing folder, add wonderful texture to the background without overwhelming your central element. Anyone who received this card would treasure it for a long time, wow!